Lowell, MA (July 2, 2018) – Two motorcyclists in Lowell, Massachusetts collided with a car on Sunday resulting in injuries to the motorcyclists. Police say that a 39 year old woman from Lowell and a 38 year old man from Dracut were riding a motorcycle near the corner of Lakeview Avenue and Fisher Street on Sunday afternoon. The motorcycle then collided with a Sedan turning off of Fisher Street. Witnesses at the scene reported that the collision caused a compound fracture for one of the motorcyclists. Emergency units, along with police, rushed to the scene. Lowell firefighters were also called to the scene to clean up a spill caused by the crash. The injured riders were taken by ambulance to a nearby hospital where their condition is currently unknown. The operator of the sedan escaped the crash without injuries. Police have not released a cause for the crash nor have they said who might be responsible. Traffic in the area was shut down for at least two hours while police remained on scene to investigate. No other information was immediately available. 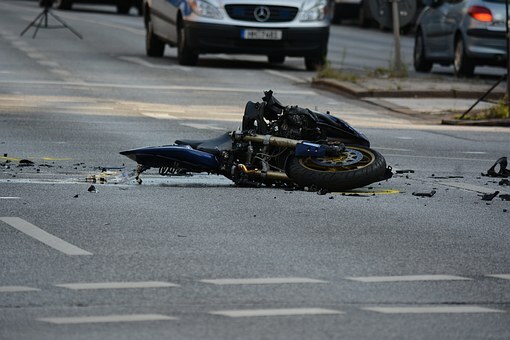 A car or motorcycle crash can cause very serious and catastrophic results for those who have been injured. Most crash victims have no warning that the crash is about to occur and therefore have no time to avoid it or defend themselves from the full impact of the crash. In many cases, drivers are fortunate if they can walk away from a these types of crashes without serious injury. A matter of inches can make the difference in a fatal crash and a less serious one. In this case it appears as though the motorcyclists, unfortunately, suffered very serious injuries in the crash. If you or a loved one have been seriously hurt in a Boston car or motorcycle accident, you probably have more questions than you have answers. You need an attorney who can help you start to put your life back together. At the Law Offices of Jeffrey S. Glassman, our attorneys can help. We offer free consultations to discuss your case. Give us a call today at 617-367-2900.